A lot can happen in 9 weeks! A lot has happened in the past 9 weeks since my last blog. The news has been alight with Energy stories, Ofgem changed the liquidity rules, Ed Miliband wrote me a letter and we put pushed back our market entry until March 2014. Energy Energy Energy, the topic seems to be going on and on in the news. First Labour state they want to freeze prices, so in retaliation, all the Supplier business’s increase their costs to get a quick benefit in for the 15 months of fixed prices. Then everyone’s attention turns to Energy saving, and in between a Nuclear power station has its “start-up” project pushed and will be on line in 10 years producing electricity at twice today’s price! 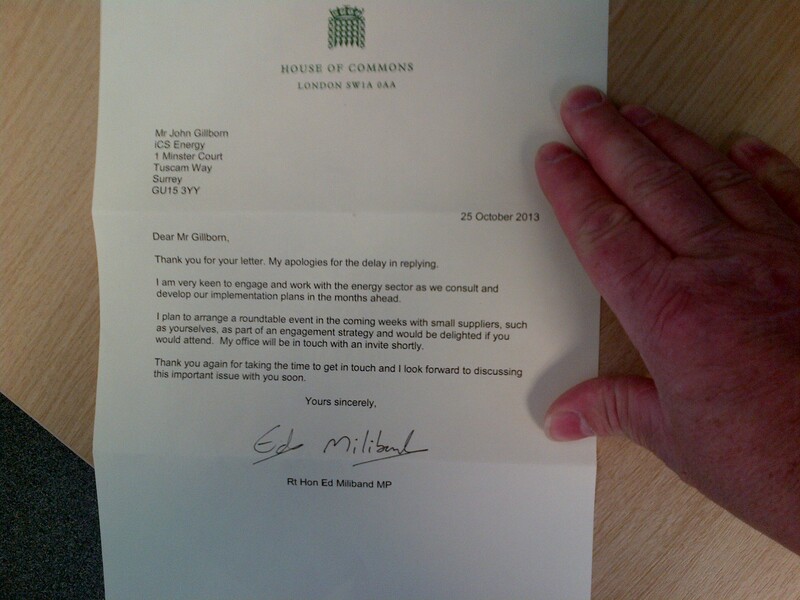 I received a reply from the Rt Hon Ed Miliband MP on the 25th October to my letter in the previous blog and am awaiting the invite to his office to a round table for discussions with him and other small suppliers. We decided a couple of weeks prior to the decision for Wholesale-market liquidity, to wait to see what the decision was and we were pleasantly surprised with the outcome. The changes mean that small suppliers like iCS Energy can now get access to Energy in shaped and small amounts meaning that we are more competitive in the market. Previously it was very difficult to get these products or an agreement with a Generator. In the final weeks of the working year, we have a number of press stories being released to help fill the papers during this quieter Christmas Period. I would just like to say an early thank you to all the team and people who have helped and supported us in our three-year journey thus far.